Names: Salal is also known as Oregon Wintergreen. Its genus name comes from Dr. Hugues Jean Gaulthier, a Canadian Botanist and Physician. Shallon is the name commonly used in Britain where it was introduced—it is derived from its native name, Salal. 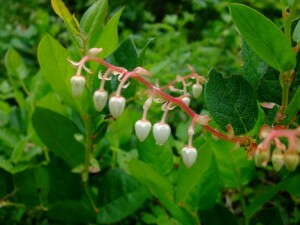 Relationships: There are about 175 species of Gaultheria worldwide but only about six in North America. 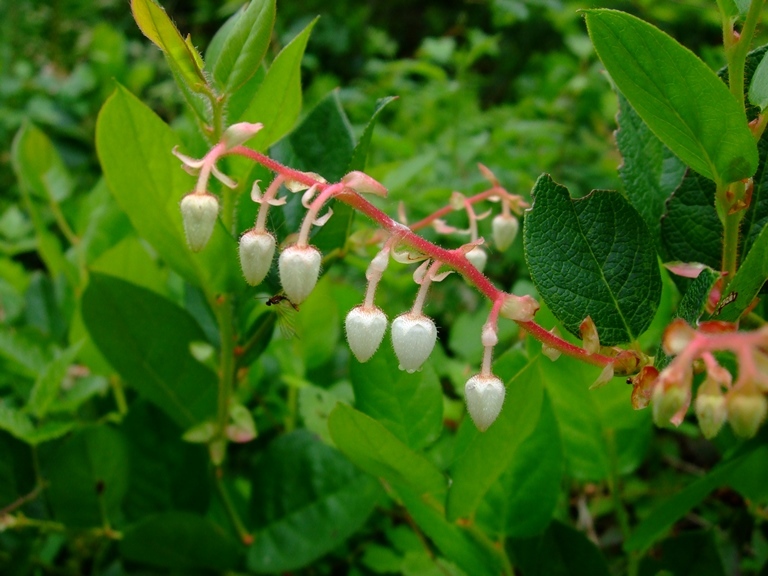 Most notable is its eastern relative, Wintergreen, Gaultheria procumbens, a popular groundcover for shade; the traditional source for Wintergreen flavoring. Distribution: Salal is found along the Pacific coast from Southeast Alaska to central California, mostly on the west side of the Cascade Mountains and along the California coast. 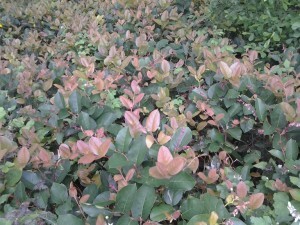 New growth can be reddish. Growth: Salal grows slowly, but will grow to over 6 ft (2m) in shady conditions. Plants in the sun usually grow only to about 3 ft (1m). It spreads by sprouting from underground stems. Habitat: It is one of the most common understory shrubs in our second-growth coniferous forests. Wetland designation: FACU, Facultative upland, it usually occurs in non-wetland but is occasionally found in wetlands. Diagnostic Characters: Its oval-shaped, leathery, evergreen leaves are about 2-4 inches (5-10 cm) long and about 1-3 inches (3-7 cm) wide. Pendant, urn-shaped flowers are white to pink. 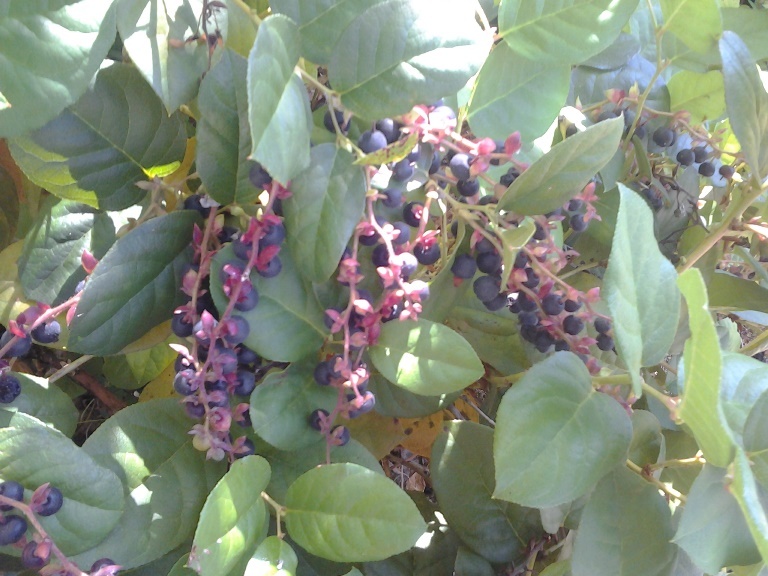 Its edible, dark-purple berries are actually fleshy sepals. 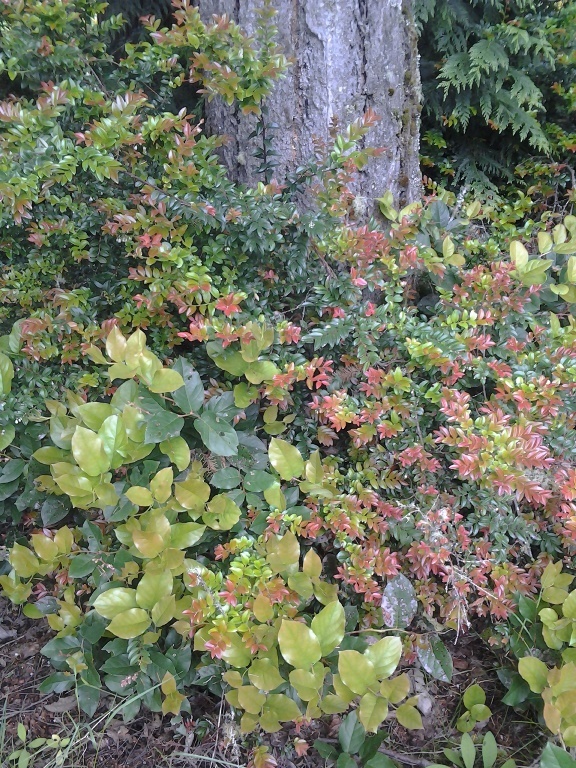 Salal and Evergreen Huckleberry are important greens for the floral industry. In the Landscape: Salal is very versatile in the landscape and should be included in almost any natural revegetation project. It is very useful along roadsides and highways. Although often slow to establish, in time it will aggressively fill in and develop into large patches of verdant foliage. Phenology: Bloom Period: April-May. Fruit ripens July to September. Propagation: Seeds germinate readily but require at least 8 hours of light each day to sprout. Seedlings grow slowly and require 2-3 years to produce a saleable plant. Even so, it is better to plant container-grown nursery stock with intact underground stems and root systems. Wild-dug Salal does not transplant well. Even if the plant survives, it may take several years before you may witness any new growth. 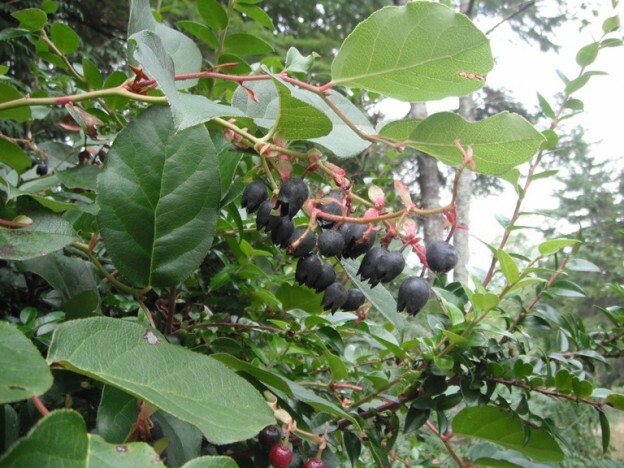 Use by people: Salal berries were eaten fresh by natives and mashed and dried into cakes. The fruit is sweet, but the texture is somewhat mealy. Today, the berries are sometimes made into jams or jellies often in combination with other berries. Natives used salal leaves to line cooking pits. 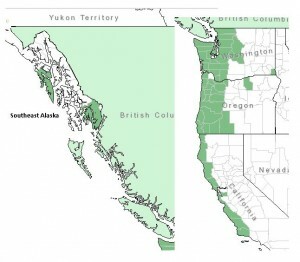 Modern “Brush-pickers” collect Salal and Evergreen Huckleberry foliage for the florist trade; although most ask permission before collecting on private property, some have been known to trespass in order to sell the valuable greenery to wholesalers. 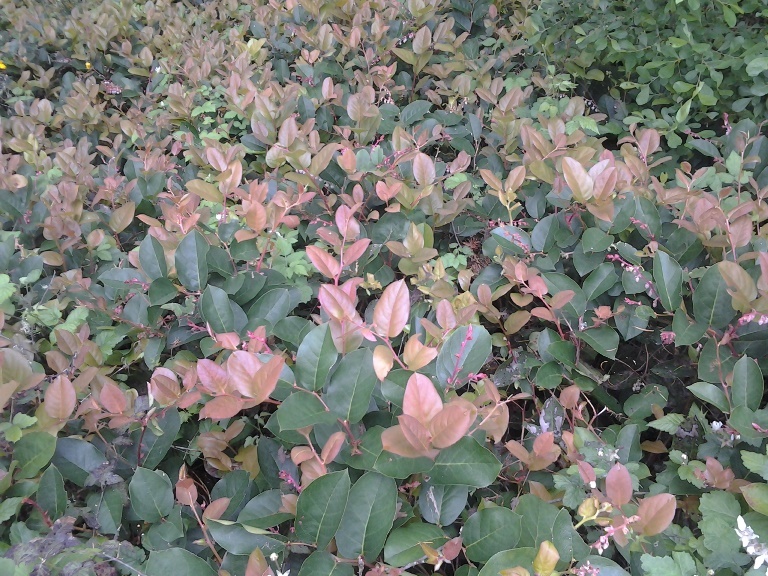 Use by wildlife: Deer and Elk eat Salal foliage, mostly in the winter. Salal is a preferred food for some Mountain Beavers (Aplodontia). The fruit is eaten by many kinds of birds and mammals including the Douglas Squirrel. 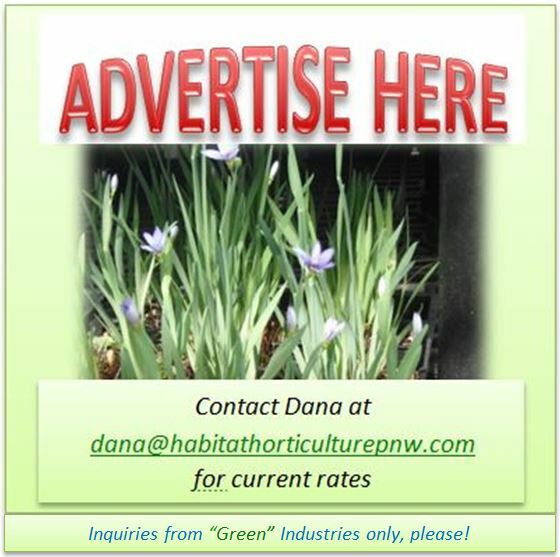 Hummingbirds will visit Salal flowers. Pernettya, Gaultheria mucronata, is an evergreen shrub native to South America. Its common name, Prickly Heath refers to its small leaves with pointed leaf tips. The berries of this plant, which can be in shades of white, pink, red, rose, purple, or nearly black, all have an interesting metallic sheen. Gaulnettya ‘Wisley Pearl’ is a hybrid of Salal and Pernettya discovered at the Royal Horticultural Society gardens at Wisley England. It looks much like a smaller Salal, but has fleshy, red-purple berries. 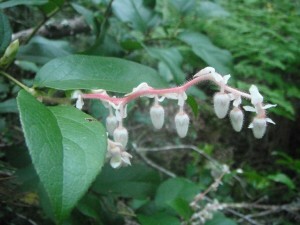 Two other Gaultherias occur in montane subalpine and alpine habitats of the northwest: Western Tea-Berry, Gaultheria ovatifolia and Alpine Wintergreen, Gaultheria humifusa. 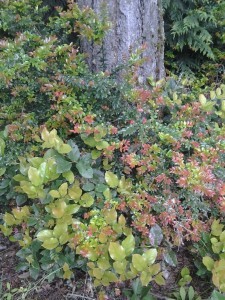 Both are small prostrate shrubs. Neither has been very successful in landscapes but may be successful if given the right conditions (a moist, humusy site). Hybridization of these two species sometimes occurs naturally producing a plant with intermediate characteristics. 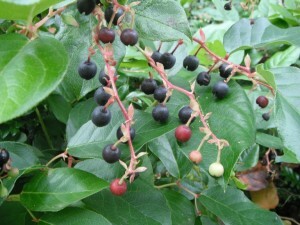 The fruits of Tea-berry were eaten fresh or made into sauces, or jellies by the Hoh and Quileute tribes. This entry was posted in Evergreen Shrubs on September 28, 2015 by habitatdana.